Since moving to Madison, Wisconsin, a lot of cool and exciting things have happened. We’ve been exploring our new city, walked on a frozen lake, eaten delicious fried cheese curds, sampled yummy Wisconsin beer and tasted 10 year aged cheddar cheese. I love cheese. If I could just eat cheese all day, I would. Maybe this is why we were meant to move to Wisconsin. 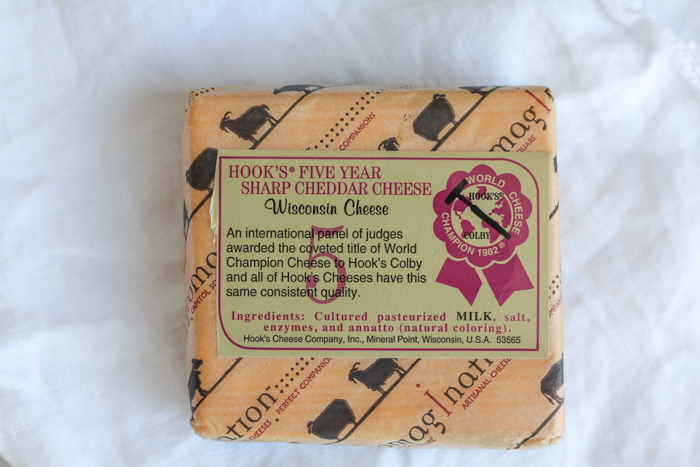 America’s Dairyland and home of the best cheese ever. Now, when it comes to cheese, I don’t discriminate. I eat it all and I love it in all forms. Especially in portable, muffin form. Because sometimes you need to mix it up and make it fun for the kids (or, the adults). I made a version of these for a party and the adults and kids were going to town on these. This one kid, Alex, devoured like 4 or 5 within 30 minutes. This time, I added crispy bacon and chives and used some absolutely delicious Wisconsin Cheddar Cheese. This is seriously the best cheddar cheese I have ever tasted. Rich and nutty, with just the right amount of sharpness, and a smooth, firm texture. Oh my this was so good! I wanted to just eat the cheese by itself but I had to use it for my mac and cheese muffins. 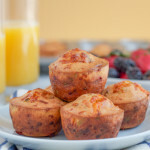 You fill the muffin cups in a muffin pan with a crushed cracker, shredded cheddar cheese and melted butter mixture, and using your fingers, press the crust firmly into the bottoms and halfway up the sides of each muffin cup. 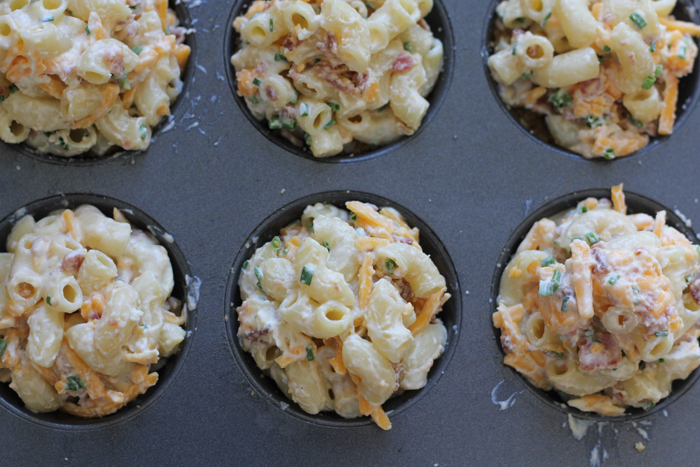 Next, fill each muffin cup with your macaroni, bacon and chives mixture. 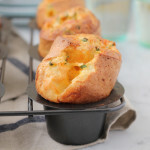 Top each muffin cup with a little more Wisconsin cheddar cheese. Bake for 20-25 minutes, or until lightly golden on top. Enjoy! 6 servings, recipe makes about 12 Mac and Cheese Muffins! First, prepare cracker crust. Preheat oven to 350°F. Butter muffin tin and set aside. In large bowl, combine crushed Ritz crackers, 1 cup shredded cheddar and melted butter, mixing well until mixture sticks together and resembles wet sand. Fill muffin cups with mixture, and using your fingers, press crust firmly into bottoms and halfway up sides of each muffin cup. 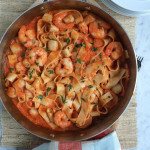 Cook pasta in large pot of salted, boiling water. Cook pasta for about 6 minutes (or until al dente), rinse and pour into large bowl. Immediately add Rondelé cheese, remaining 1 cup shredded cheddar and butter. Mix well until thoroughly coated. Whisk eggs, milk, sour cream and salt in another bowl. Pour egg mixture over macaroni; toss to coat. Fold in reserved bacon and chives. Fill each muffin cup with 2-3 tablespoons of macaroni mixture. 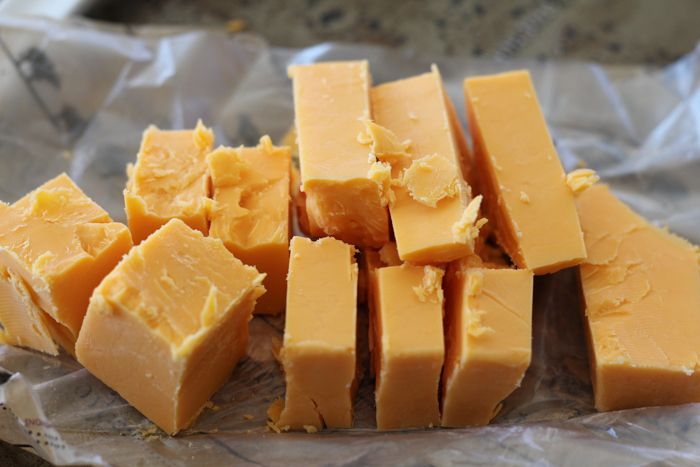 Sprinkle each with remaining cheddar and additional chives. Bake for 20-25 minutes or until lightly golden on top and thermometer reads 160°F. Let cool for at least 10 minutes. Gently loosen edges of muffins with a butter knife to remove from pan. 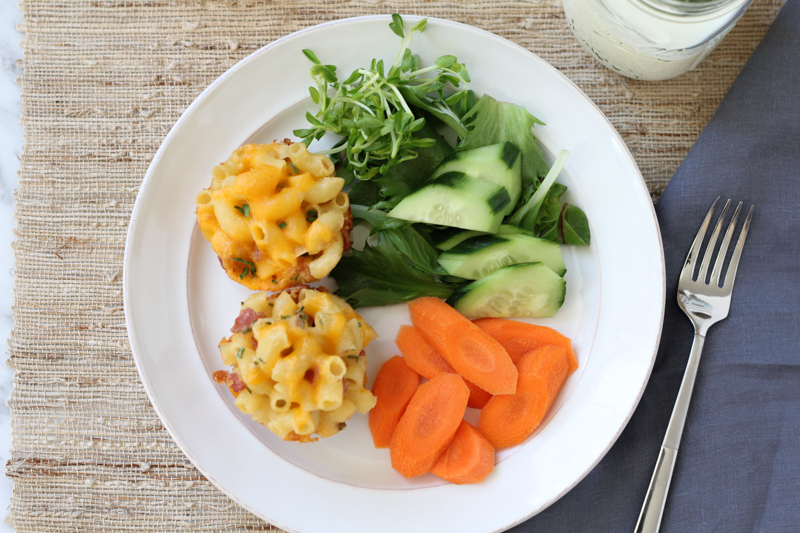 I’ve partnered with Wisconsin Cheese and their new website, All Things Mac and Cheese today, so CLICK HERE to get my Mac and Cheese Muffins RECIPE! 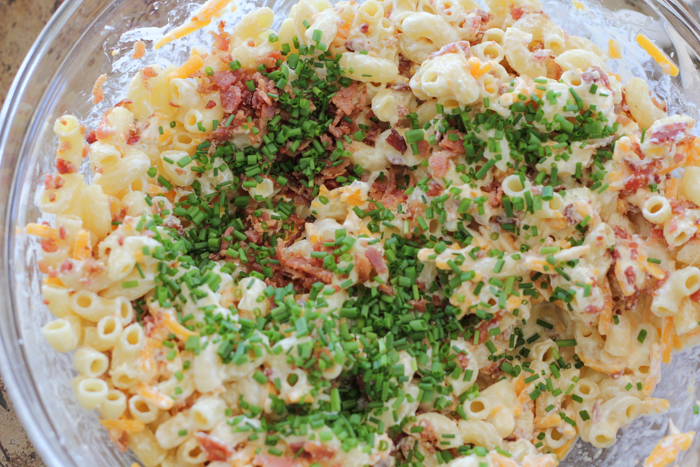 And if you’re a mac and cheese lover, believe me, you want this recipe. And now your kids can eat mac and cheese in a fun, new way! With their hands! Serve with veggies and a big glass of milk. 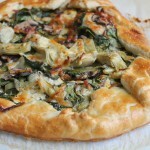 Disclosure: This post and recipe is in partnership with the Wisconsin Milk Marketing Board. I was compensated for this post. All opinions expressed here are 100% my own. 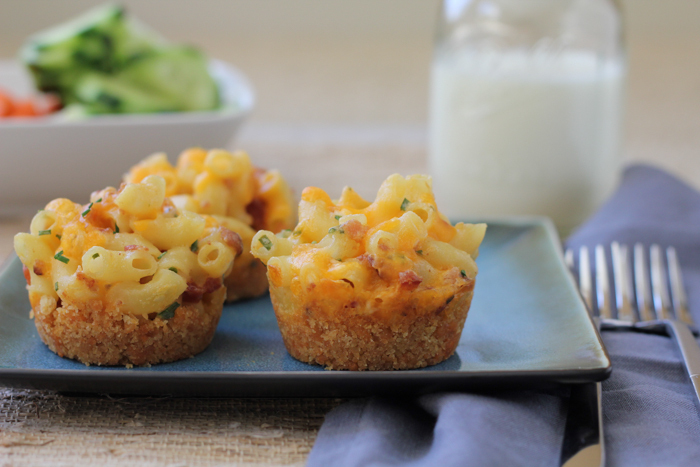 Ermagawd I really shouldn’t visit your blog right before bed because now I’m gonna dream about these brilliant mac ‘n cheese muffins all night long! Seriously, Alice, I love this idea. It’s absolutely delicious and your photos are magnificent. 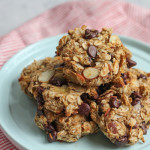 I’m gonna go check out the recipe and will print it out so that I can make these ASAP. I love the way your mind works, woman! Nancy, these are soooooo good. . please let me know if you try! I love these little Mac & cheese muffins. There’s definitely appeal when I consider they’re perfect picnic food and a yummy way to enjoy my pasta fix. Love!!! Hi Alice!! yes, I love them because they are so easy to transport! yes, can’t wait for spring or summer picnics! thank you!! Oh my gosh these m&c muffins are perfection! They look so gooey and cheesy. 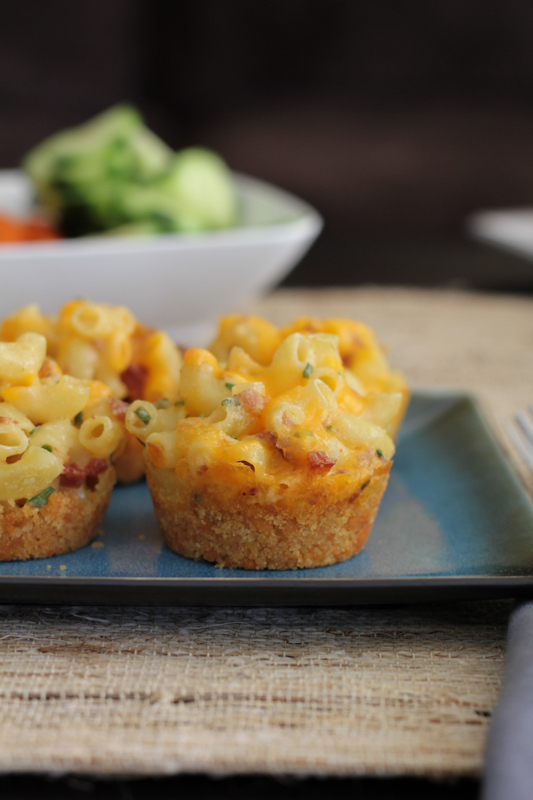 I so have to got to try mac n cheese muffins—after seeing yours I think these are happening here soon! pinned. Thank you so much, Sarah! I do hope you try them. . they are so delicious! Oh my gosh. Oh my gosh. 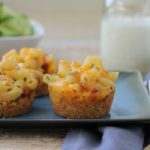 Mac & cheese muffins are one of my favorite things on this earth (as is cheese — you and I sound like we share very similar views on that particular topic!) and these look SO. GOOD. I love the cracker crust! Ahhh I need these in my life. 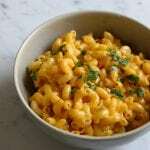 I made these yummy mac and cheese tonight for my family…such a big hit! And talk about great strategy for portion control! Thank you! Oh my goodness. Can I come live with you for a week? I am a chesse-a-cheese aholic, is there even such a thing? 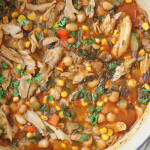 Thanks for sharing an AWESOME recipe. Can’t wait to try it. Have to find the cheese first. Keep up the GREAT Blog. Thank you so much, Becky!! Happy New Year!!! We don’t eat pork. Any other additional you would recommend (vegetarian)? Hi Megan, you can simply omit the bacon!! Happy New Year!! Hi they look absolutely phenomenal. Can i know if i would like to freeze them, how should i go about doing it? Hi Suhaidah, yes you can freeze them! 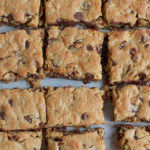 Bake them fully as the recipe indicates and then let them cool to room temp. 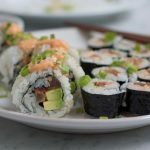 Wrap them and place in an airtight freezer-safe container and freeze! 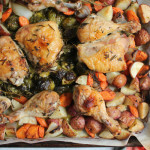 When ready to bake and eat, either defrost them the night before in your fridge or simply bake them frozen. You can try 350 degrees for 10 to 15 mins if defrosted, or until cheese is melty and the muffins are heated through. Or, 15 to 20 if frozen. Hope you try them!!! How have I not made these for my boys yet?! 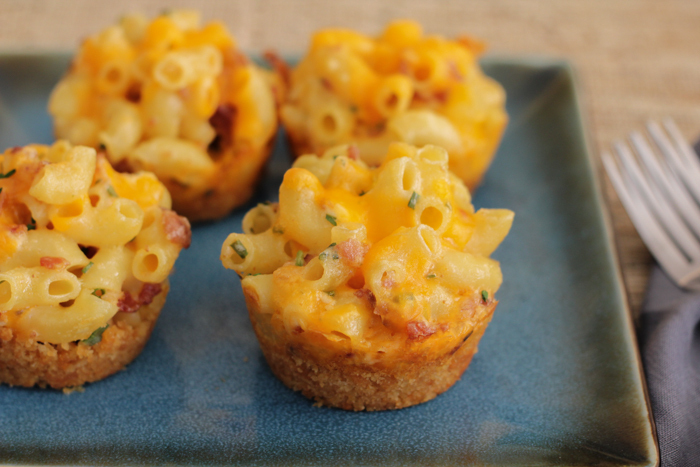 Does this only make 6 mac and cheese “cupcakes”? Hi Susie! 6 servings! 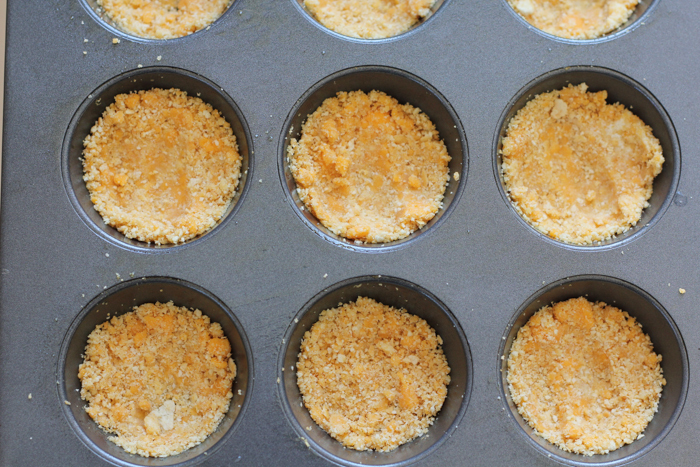 Recipe makes about 12 Mac and Cheese Muffins! 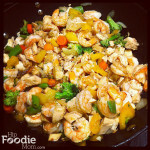 I just updated the recipe card to be clearer! Thank you!